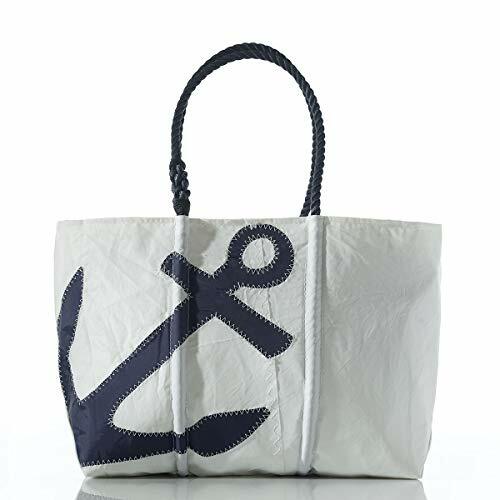 The navy anchor recycled sail cloth tote is our best selling Sea Bags. The classic anchor is a bold statement of fun and adventure, making it both retro and chic for yourself or as a unique gift. Reclaimed sail bag with navy anchor and our famous zig stitch. White hand-spliced rope handles long enough to carry on your shoulder with a full, zip top closure. Sizes: Medium and Large. Handmade in Portland, Maine, USA.